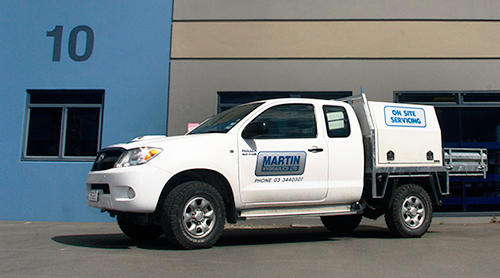 Since Allan Martin opened the doors to his first Christchurch workshop in 1973, Martin Engineering has been dedicated to servicing all applications of hydraulics. In fact the business has grown so much, it has now become a one-stop-shop for hydraulic services that includes a Sales and Design team, in-house welding and machining departments, a mobile hose van service and a service and repair facility that is second to none. Martin Engineering are able to suit your general engineering requirements and are only too happy to come and see you and to work with you on your needs. In many cases our design expertise can lead to reducing costs and increase the quality of the build. Our general engineering service naturally includes free quotations and on site measuring if required, or if requested, we can build straight from plans to tolerances in a production manner. All types of general engineering is undertaken ranging from small to large in either mild or high tensile steel, stainless steel and aluminium.